Return to "Planning & Production by KCG"
"I want low-priced works that are suitable for a present or souvenior". "If the works are pretty and small enough to fit into my pockets, they are convenient to show to my friends." At every exhibition, we've heard these requests by customers. 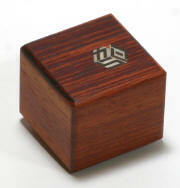 So, Karakuri Creation Group is creating "Karakuri Small Box Series". We aim to create works that are low-priced, small, and of course exciting. 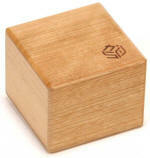 Please enjoy the new world of " Karakuri Small Box Series". 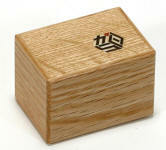 Karakuri Small Box #1 KK-1 At first, we produced around 10 works through trial and error to create "Karakuri Small Box Series". This was the most popular work among those works. 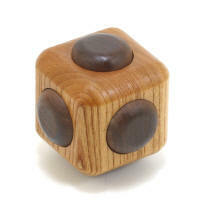 If you know the solution, you can open it with only 3 moves. But, almost no one can open it without knowing the solution. 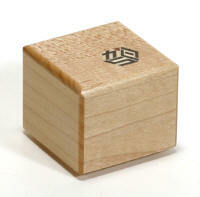 We named it just "#1", so we wouldn't give you a hint with the name. 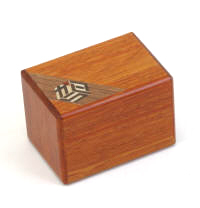 Karakuri Small Box #1 KK-1-2 The mechanism is the same as the previous one (KK-1). 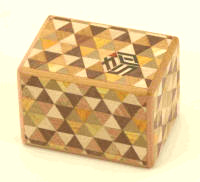 Karakuri Small Box #1 KK-1-3 The mechanism is the same as the previous one (KK-1). 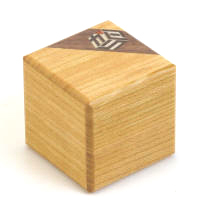 Karakuri Small Box #2 KK-2 This is also a work that has only 3 moves. But also, there aren't many people who can open it without looking at the solution. When we showed the trial work to our friends, they just kept repeating, "Here? Really?? ", though we told them, "this plate is the solution". Karakuri Small Box #2 KK-2-2 The mechanism is the same as the previous one (KK-2). Karakuri Small Box #2 KK-2-3 The mechanism is the same as the previous one (KK-2). 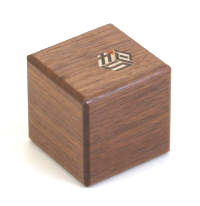 Karakuri Small Box #2 KK-2-4 The device was changed only a little. The first step of the KK-2 is just like a preliminary movement. At the KK-2-4, it was omited. Now, the first step is the main device. If you can't find the main device, it means you can't move even one step. 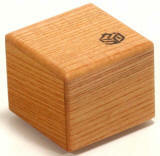 Karakuri Small Box #2 KK-2-5 The size is bigger than KK-2-4. The mechanism and the material are same with KK-2-4. 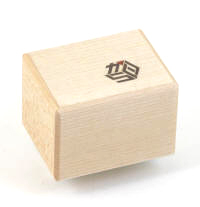 Karakuri Small Box #3 KK-3 Maybe we can say that #3 work is easier than #1 or #2. If you say, "I'm not good at difficult works", we recommend you try #3. In fact, at first we were going to make it as #1. But, we rethought, "There is no problem for Karakuri Fans !". Therefore, we made it as the third work. Karakuri Small Box #3 KK-3-2 The mechanism is the same as the previous one (KK-3). 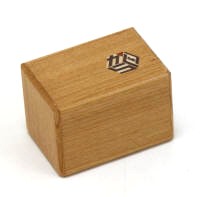 Karakuri Small Box #3 KK-3-3 The mechanism is the same as the previous one (KK-3). Karakuri Small Box #3 KK-3-4 The mechanism is the same as the previous one (KK-3). 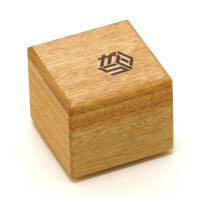 “Karakuri Small Box #1, #2, #3” were well received beyond our expectation. It has been one and half years since then. Our group has been studying about the creation of continuations from 2005. 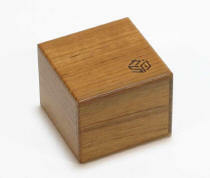 Now, we can announce the “Karakuri Small Box #4, #5, #6”. These creations were all based on Kamei’s old works. 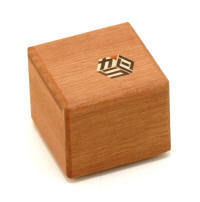 “Karakuri Small Box #4” is based on “Box with a Ribbon (P-27)”. It’s a work that is a little unkind. This is the revised edition of KK-4. 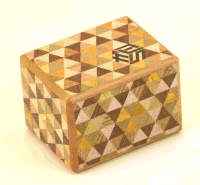 “Karakuri Small Box #5” was based on “COSMOX (M-17)”. Among the people who saw “Karakuri Box” recently, there may be many people who have never seen the “COSMOX”. Even though you try to open it “in your hands”, it isn’t easy to open. 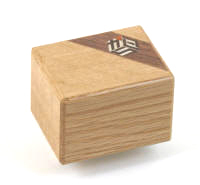 You may not think you need a desk, but it sincerely is helpful to solve the puzzle. 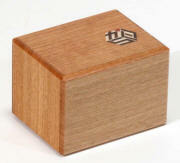 “Karakuri Small Box #7 was created based on “Small Box 3 (M-24-3)”. I believe you can find the first step easily. 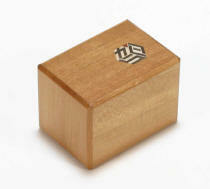 The second moves in unexpected way that is different from standard Secret Boxes. And the third step is the solution. The first and second steps are the keys of the third step. But, add to this, the first and second steps are useful for how to move the third step. This is the revised edition of KK-7. 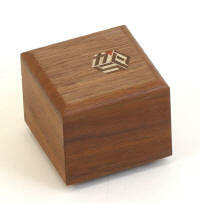 “Karakuri Small Box #8” was created based on “3D Box (K-20)”. 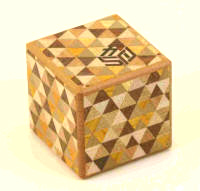 “3D Box” was created 10 years ago. 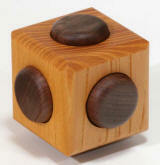 If you know the “3D Box”, maybe you are one of the veterans about Karakuri Works. 3 bars cross in a cube, and they influence each other. Of course, this works also has a space inside. The bars are unstable while making this work. It makes difficult to make. Especially, we need to pay attention to the process to make. This is the revised edition of KK-8.